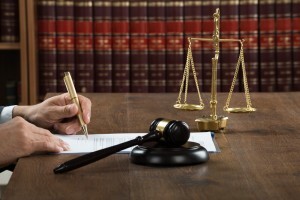 It’s a well-known fact that a business is more likely to be involved in a legal dispute than to experience any other type of insurance claim. Legal Expenses Insurance should therefore be something that every business should consider. This type of policy can be often be tailor made to a business’s individual requirements, but a cheaper alternative may be to purchase a ‘package’ of covers which cover the vast majority of Legal Expenses Insurance scenarios for a premium which can be as much as 90% cheaper than buying a bespoke policy. We can offer both options for businesses and also offer separate packages designed for private home-owners and landlords. Irrespective of whichever type of policy for Legal Expenses Insurance you purchase, one thing they all have in common are free helplines to give you advice for most legal, financial or employment issues. Quite often a confidential counselling helpline is provided too. The insurance covers obviously vary according to whether you’re a business, a landlord or a home-owner so the following description is split into three sections. The main area of claims on Legal Expenses Insurance for businesses is in respect of Employment Disputes and Compensation Awards, whereby the policy operates to defend your legal rights with employees, ex-employees and even prospective employees – providing you’ve followed the helpline advice and the ACAS code of conduct. Closely following this section in terms of claims is the Contract Disputes section which assists with protecting you in the event of a dispute with a supplier or customer. Debt Recovery can also be included in certain instances in your Legal Expenses Insurance. Statutory Licence is another section of cover whereby the costs of appeal to a tribunal or court are covered in respect of a dispute with a licensing or regulatory authority. Property Protection and Personal Injury is a really valuable protection to have as it covers the legal costs of pursuing injury claims for your staff and also the costs of pursuing anyone who damages property you own or are responsible for. Legal Defence is another really useful aspect of Legal Expenses Insurance cover because if (for example) the Health & Safety Executive or the Information Commissioner’s Office take action against you, then this is the section of the policy that will fund your defence costs. Probably the biggest single reason why people buy this type of insurance though is the Tax Protection section as it funds accountant negotiations with HMRC in the event of VAT disputes and tax enquiries. Broadly speaking the cover provided by a Landlords Legal Expenses Insurance policy is similar to a policy for any other type of business but with additional sections to cover Tenancy Disputes, Lease Disputes and in respect of residential landlords, the costs of Repossession, eviction of squatters and if the correct policy is purchased, Rent Guarantee. This type of policy is targeted at families, so the covers are not designed for business owners at all. Policy wordings can vary tremendously, that said, certain of the covers often provided are very similar. For example Property Protection and Personal Injury covers are often included as are Employment disputes, Tax protection and Contract disputes (all as mentioned above in the Business Legal Expenses Insurance section). Some of the policies can also include Identity Theft assistance and some of the better policies even have bespoke cover for Clinical Negligence claims and Jury Service. Whether you are a Homeowner, a Director or Proprietor of a business or a Landlord you can be assured of our expert advice and knowledge of Legal Expenses Insurance. Prizm Solutions is an award winning insurance broker, with a fantastic team of enthusiastic insurance specialists working at our offices in Tamworth, Staffordshire. For a chat about this or any other kind of insurance please just give us a call or drop us an email.